No matter how dismal April has been (minus one great beach day) Spring is in the air. 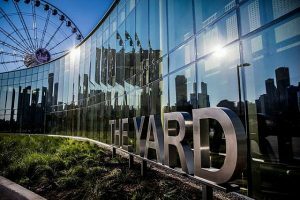 You know that because organizations and institutions such as the Shedd Aquarium are celebrating Earth Week with a clean-up day April 21, because One of A Kind Spring Show will be back at the Mart with lots of gift ideas for Mother’s Day, friends and family and because it’s time to fly a kite in Lincoln Park. 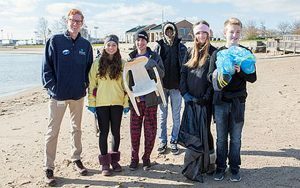 Shedd, working with a GLAD team (Great Lakes Action Days) is looking for volunteers at some specifically designated beaches from 10:30 a.m.to noon on April 21. For beaches in the program and how to sign up visit GLAD or call (312) 692-3330. You’ll be GLAD you did. 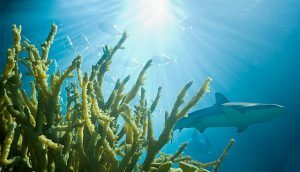 For more Shedd info visit Shedd Aquarium Conservation. 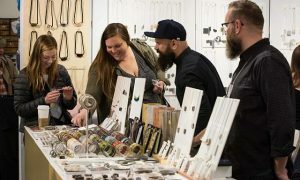 The One of a Kind Spring Show ® returns to the Merchandise Mart April 27-29, 2018. This year’s show features more than 300 art and gift booths and the Lillstreet Art Center’s demonstrations and hands-on activigties. The Merchandise Mart is at 222 Merchandise Mart Plaza on the northside of the Chicago River west of Wells Street. For more information visit One of a kind show. 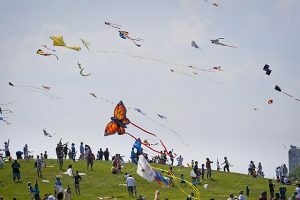 Kites will be flying high on Lincoln Park’s Cricket Hill (Montrose and Wilson)May 5 from 10 a.m. to 4 p.m. (Lake Shore Drive between Montrose and Wilson). Fine if you have a favorite kite but if not Chicago Kite will be selling kites. Part of the fun though of going is too watch professional kite flying demonstrations with unusual kites. For more information visit Chicago Kids and Kites. A penguin with a purpose. A Wright that is right. Those are just two of the special gifts that can be found in Chicago museums. Instead of fighting crowds on Black Friday, use the day off to visit a favorite museum and its gift shop. 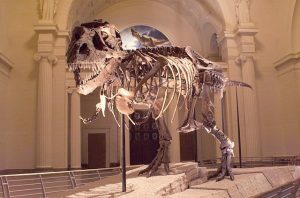 Museum stores are not only filled with fun and artistic gifts, they also funnel that money you spend back into programs and other costs. 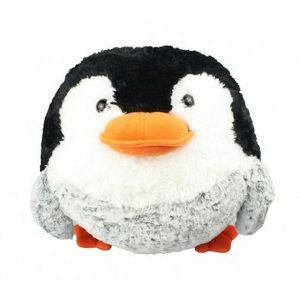 Plus, holiday shopping when you can also watch penguins play or visit a favorite art period adds to the fun of finding a present that matches a person’s interest. However, if you don’t make it down to Chicago, browse the museum stores’ web sites. They are easy to maneuver because most are broken into different categories so don’t worry if the first link you find merely says store. Watch for scrolling options and look for such links as jewelry, toys and home decor. The Shedd, in the middle of the Museum campus at 1200 S. Lake Shore Dr., is a favorite destination when youngsters and adults have a day off. However, you can also look in the shop on line to find everything from toddler shark hoodies to soft, plus animals that have wallett friendly prices. Visit Shedd Shop and call (312) 939-2438 if you have some questions. Past the Shedd, all the way out to the eastern point of the museum campus is the Adler Planetarium, at 1300 S. Lake Shore Drive. The shop is perfect for the budding astronomer or astronaut wannabe. 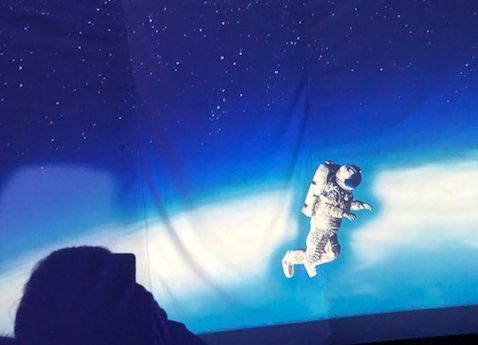 Think telescope, NASA hoodie or night sky projection. The products are high quality and come in all prices. Check out Adler Shop and call (312) 922-7827 with questions. First museum on the campus, the Field at 1400 S. Lake shore Dr., has a huge store worth a visit anytime you are on the museum campus. However, the store’s website is also huge. Note that different shop areas scroll across the Field store site. Click on one that particularly catches your attention or merelyh look for such categories as home décor and toys. Among the sites is one for Ancient Mediterranean objects. For other information call (312) 922-9410. Both sections of theArt Institute of Chicago, the traditional building at 111 S. Michigan Ave. and the Modern Wing at 159 E. Monroe St. have wonderful gift shops near their entrances so visitors can shop without paying admission. But if there, it is hard to resist visiting a favorite gallery. If shopping on line look for different categories such as apparel, stationary, books (even coloring books for famous paintins or architectural items, glass objects or a particular artist at AICShop. There is even a site for all Frank Lloyd Wright items. For other information call (312) 443-3600. Visit the MCA, as it is popularly known, to see its latest exhibition of important contemporary works upstairs on the Fourth Floor but also to dine in its new restaurant on the ground floor. 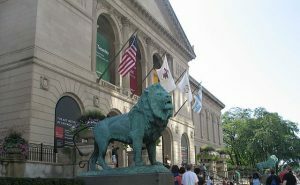 The museum is at 220 E. Chicago Ave. But if saving that visit for a day after the holidays, go on line to the MCA Store to vfnd such fun objects as desktop and hanging mobiles or fun, objects by artist Murakami. For more information call (312) 289-2660. 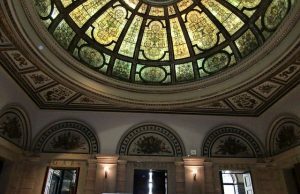 If trying to match a present to a history buff or someone interested in Chicago, a great place to find a book or related gift is at the Chicago History Museum Shop. The building, situated in Lincoln Park at 1601 N. Clark St., is also an easy bus ride from downtown Chicago. 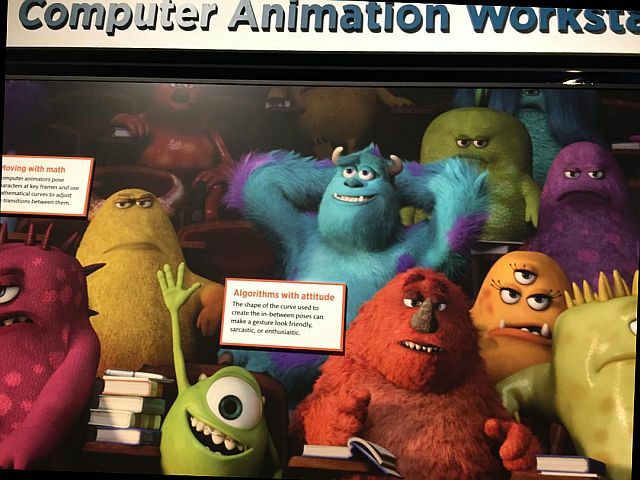 Visit MSI to see its Robots, Lego or Mirror Maze exhibit or for its fairy castle or coal mine. You will find related items and gifts for you young scientiist in the museum gift shop. The museum is at 5700 S. Lake Shore Drive near the Hyde Park/ University of Chicago neighborhoods. But you can also shop on line for toys, books and other gift items. The store has a gift guide. Happy shopping and have a joyous holiday. Now that Super Bowl 51 is history, and yes, it made history, and Spring Training doesn’t start for a couple of weeks, it’s time to think about what to do away from the flat screen. Fortunately Chicago has plenty of attractions to lure folks out of the house. Three ideas are offered here because they are either starting this weekend or will be free or discounted. You can beat the crowd by going to the Members’ Preview Feb. 10, 5-7:30 p.m. for cocktails and music ($30). 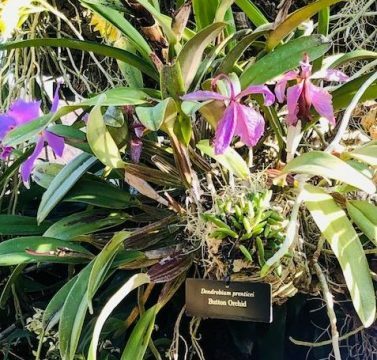 Or go Feb. 11 or 12 from 10 a.m. to 4 p.m. when orchids will be sold in the Orchid Marketplace and experts will be around to answer your orchid questions. 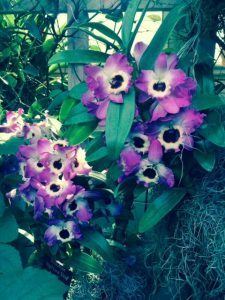 The show starts this weekend but is extended to March 26, 2017 so there is time to return with more friends and orchid growing questions. Cost: Adults: members/nonmembers: $10/$12, seniors 62+ $8/$10, children age 3–12: 8/$10. 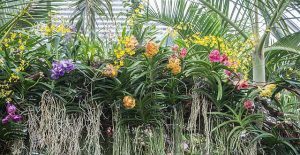 Nonmember parking is extra but can be bought in advance for easier garden entry and there is a Two Pack deal for parking and two tickets. The Chicago Botanic Garden is at 1000 Lake Cook Road, Glencoe, IL 60022. Call (847) 835-5440. It’s always interesting to see what’s going on at the museum and to check out two special programs there during Black History Month. But if you are an Illinois resident you can do so free of charges this week, Feb. 7-9, and next week, Feb. 14-16. The Juried Art Exhibition, an annual show since 1970, features professional and aspiring black artists from across the country, now through Feb. 19, 2017. The other program is the Innovation Studio where visitors learn about African American contributions to the sciences and can add their own ideas and solutions. It is there now through March 4, 2017. The Museum of Science and Industry is at 5700 S. Lake shore Drive, Chicago. 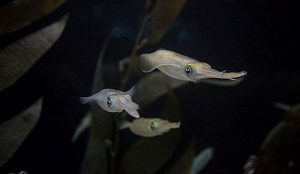 Bigfin Reef Squid are now swimming at the Shedd Aquarium. Photo compliments of Shedd Aquarium. What has eight arms, two long tentacles, looks right at you and isn’t venomous? It’s a Bigfin Reef Squid. It’s fun to watch them glide on the mezzanine level of the Abbott Oceanarium. Having just been raised by the Shedd, they are new to the tank where visitor can see them. Illinois residents have free entry Feb. 10-14, so this week –weekend is a good time to go. A free general admission day is also a discount day which means the Oceanarium charge is less. The Shedd Aquarium is at 1200 Lake Shore Drive, Chicago. For other information visit Shedd and call (312) 939-2438.